Well Sigala has been announced as the main headliner DJ on the main stage of Birmingham Pride 2017, hence why he is a part of my Birmingham Pride Special, although I'm more interested in knowing whether Imani Williams will be joining him for "Say You Do" since she's an amazing singer. 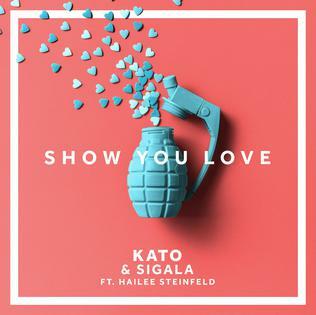 This is Sigala's latest single in collaboration with KATO and features Hailee Steinfeld; he will more than likely play this as part of his set at Birmingham Pride 2017. The music video doesn't really relate to the song as we watch three girls steal a car and then rob a petrol station in KATO & Sigala's "Show You Love" feat. Hailee Steinfeld. KATO, real name Thomas Kato Vittrup, is a popular Danish DJ who has had a number of hits in Denmark as well as a few other countries namely Norway, Sweden, and Russia. 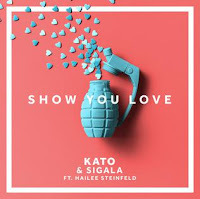 Now with the help of Sigala and Hailee Steinfeld, he has given the UK and US a shot, but with the video not including Hailee Steinfeld, it's going to be difficult to promote this, unless radio really does pick it up. Sigala has been a formidable British DJ of recent years. His real name is Bruce Fielder and he has had a number of hits; he has helped to launch successful or soon-to-be-stars Imani Williams and Bryn Christopher, thanks to songs "Say You Do" and "Sweet Lovin'" respectively. We're waiting on a debut album, but we're sure that's not too far away now. I last saw him live at Kiss Haunted House Party 2016, so I know he'll do amazingly at Birmingham Pride 2017 as long as he has the respective singers to sing the songs, although a normal DJ set would work just as great. Featured on this track is Hailee Steinfeld, who has had quite the rocky road when it comes to the charts, and yet she's focused and driven. Her acting career is on point though - it's going to be difficult juggling the two, but others have done it in the past and I believe Hailee Steinfeld can do it too. This song has charted in the UK at 91, whether it will peak higher is all down to whether it becomes popular or not. The song was written by Thomas Kato Vittrup, Bruce Fielder, and Grace Tither. Directed by Alex Nicholson, the music video completely has nothing to do with this song. I thought, perhaps, that there would be a love narrative involved, but they only subtly include it without even showing it. The narrative shows three women relaxing at a posh house with a swimming pool. A guy, who clearly owns the house, exits his car and goes inside. The girls make a run for it, going separate ways, and they circle around to the front of the house and jump into the car, all at the same time. They drive off, leaving the guy outside. On their road trip they end up running out of fuel, or should I say gas...? Is this American or British or Danish? Who knows? Anyway, they decide to rob a petrol station, to gain fuel/gas for the car. And that is basically the whole story. There's just more driving, plenty of scenic shots and a suggestion that they rob another place until the music video ends. It's totally unrelatable to the song, very uninteresting, and not something I enjoyed watching twice, and I certainly am not going to watch it a third time. Well, unless it's on the music channels - since I do like the song!